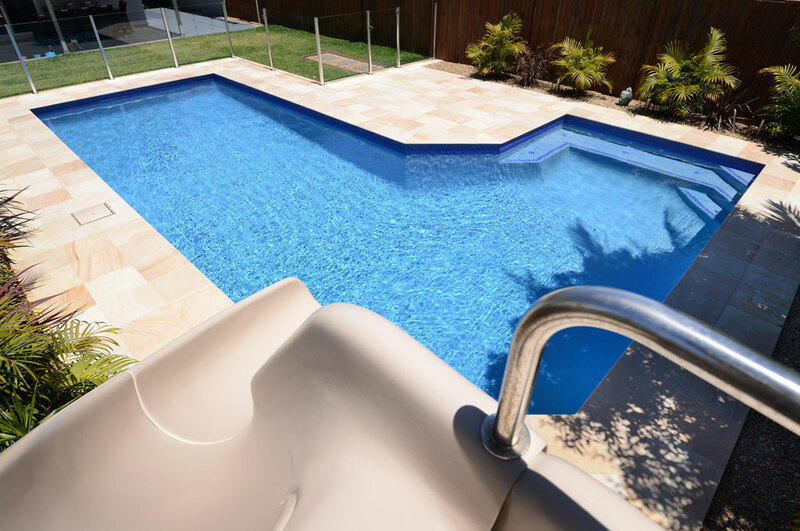 With a child-friendly waterslide and sitting ledges with spa jets, this freshwater swimming pool is custom-designed for family fun. 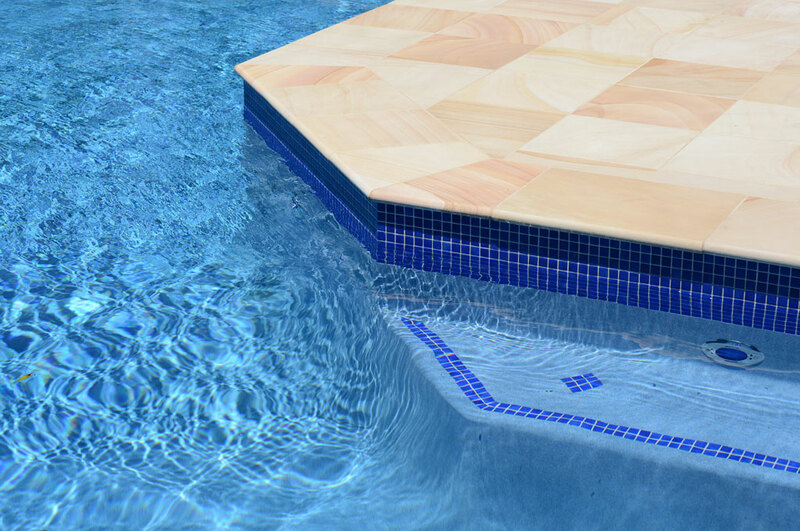 Top grade Himalayan sandstone has achieved a beautiful finished look: a wonderful display of golden and brown hues that contrast the rippling water and blue glass mosaic waterline tiles. 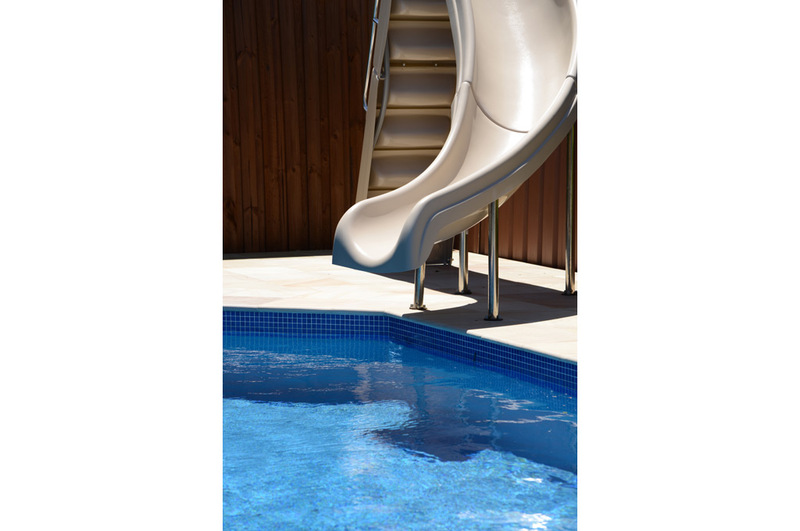 Meticulously constructed to exacting standards, the pool features steel reinforcement and pipe-work for the waterslide, ensuring a continuous cycle of running water. 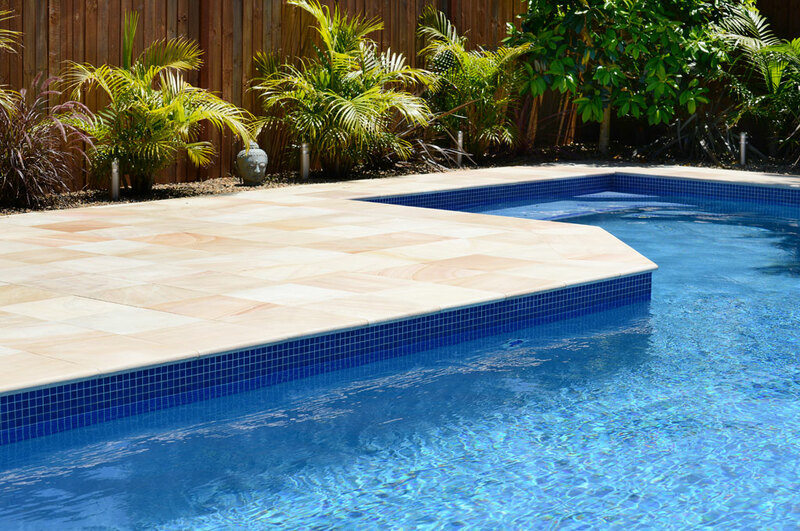 Wide coping surrounds offer plenty of space to relax or sunbathe. 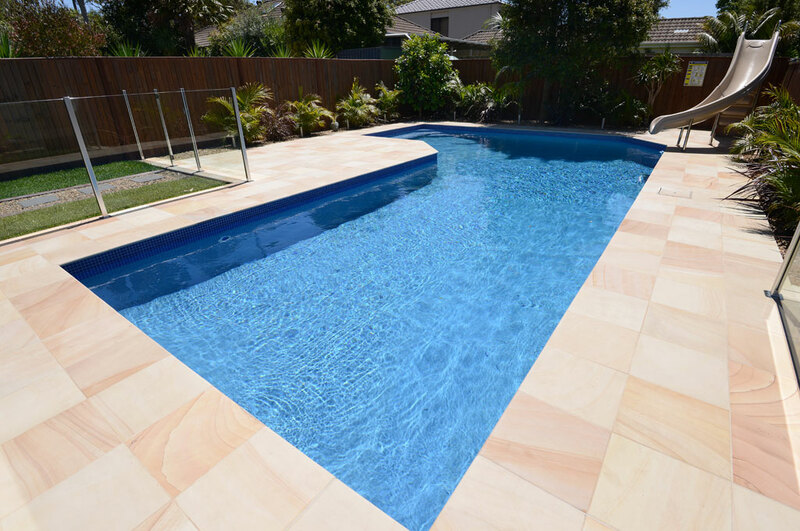 The pool is also heated, with an automatic chlorinator and pH control. Finishing touches include frameless glass fencing with stainless steel posts, step tread tiles and blue diamond motifs. 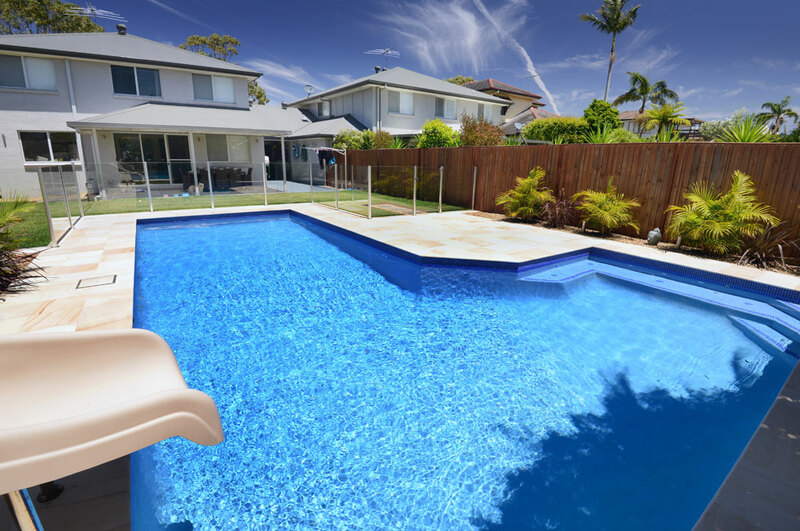 The end result is a truly fantastic pool and waterslide combination.